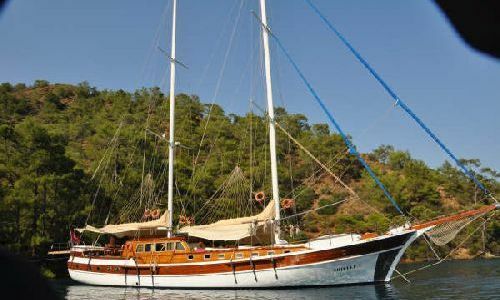 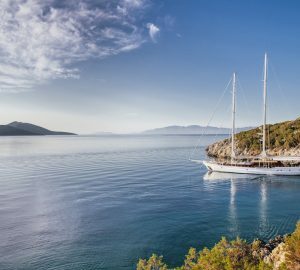 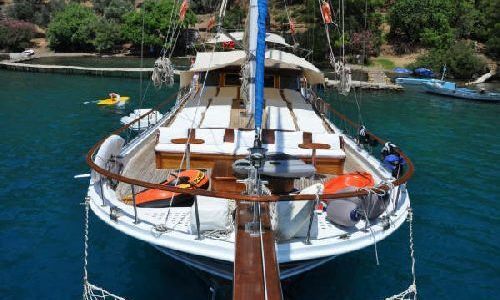 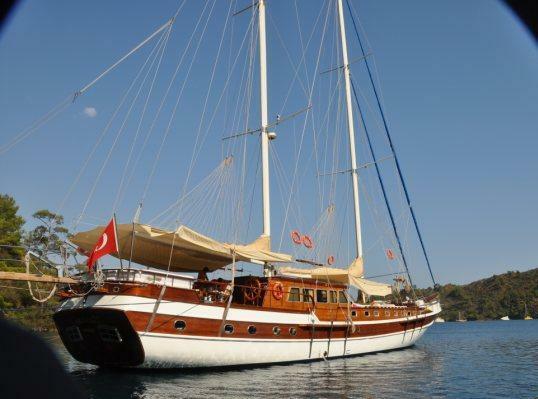 ARIELLE I was built in 1997 by Bodrum Shipyard and refitted in 2009, the yacht measures 27 meters (89ft) and can accommodate 10 guests in 5 luxurious cabins. 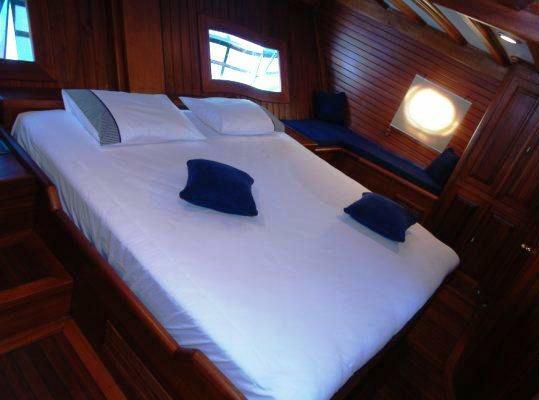 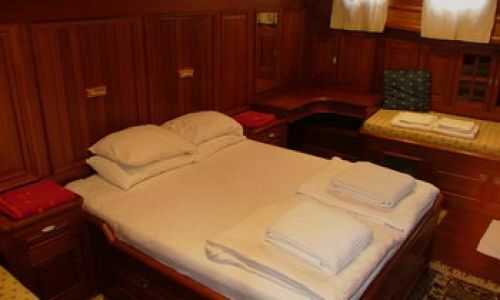 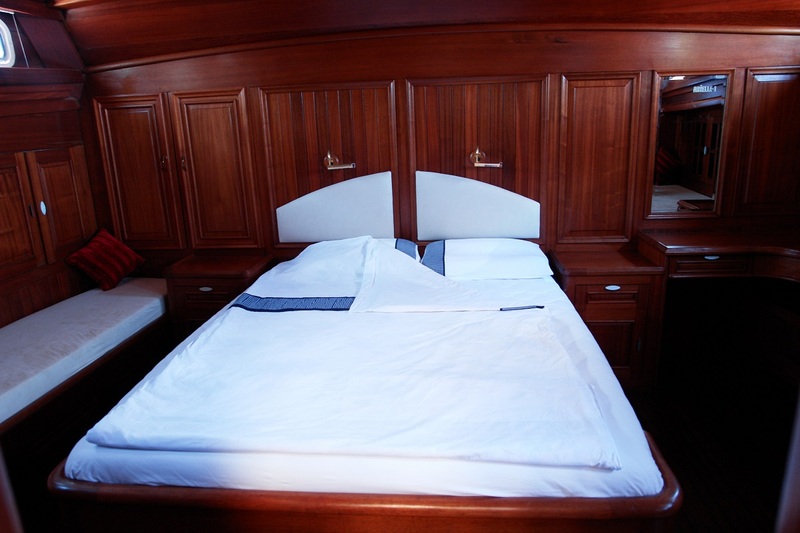 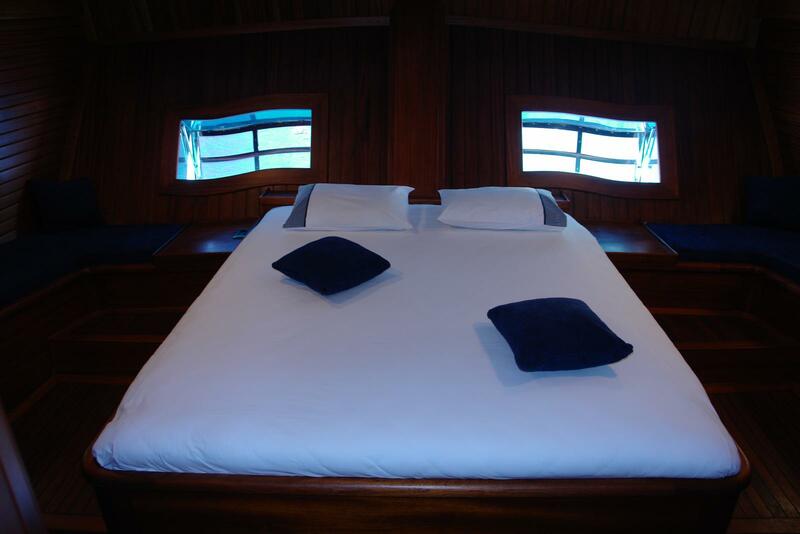 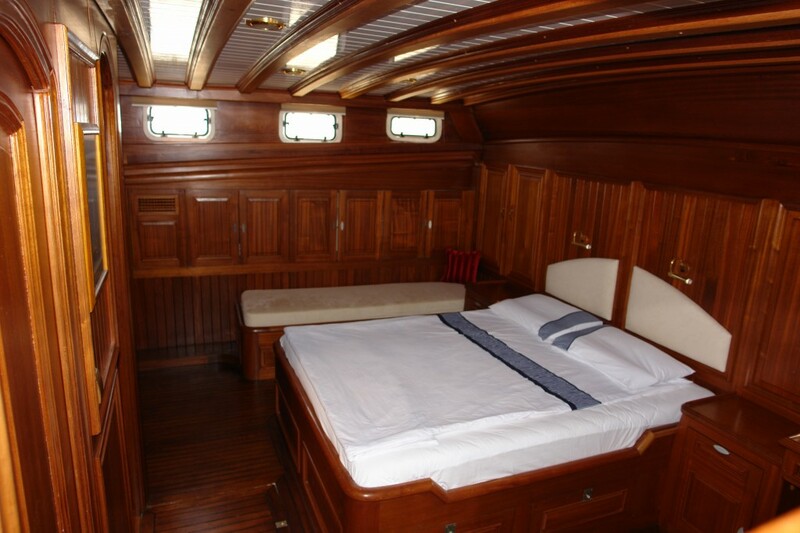 ARIELLE I offers guests a stylish and comfortable interior with high quality woods throughout, the main pilot house boasts the salon and dining area, with full drinks bar on the port side and settee and table on the starboard. 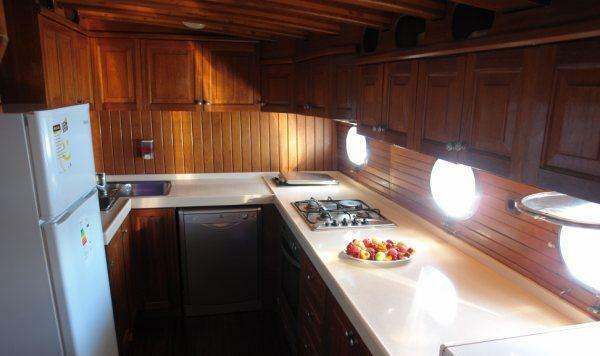 Natural light shines through the large surrounding panoramic windows also allowing for superior views. 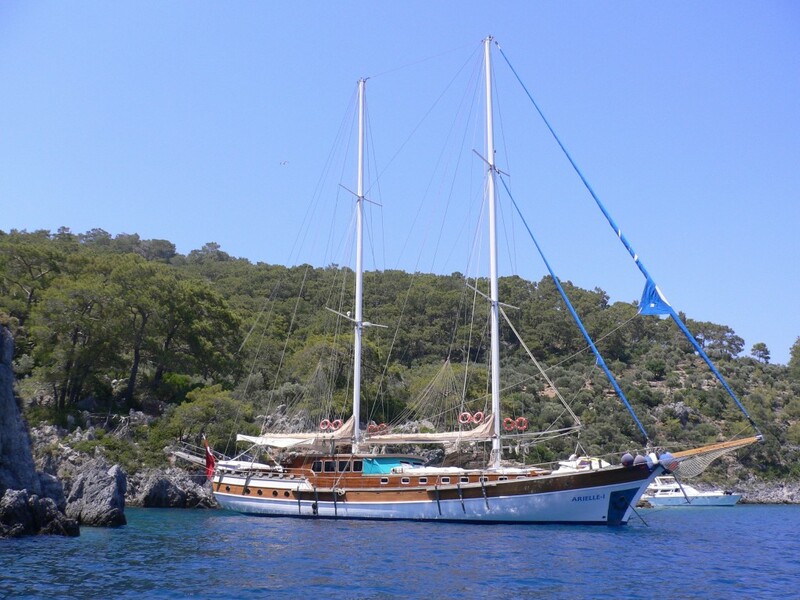 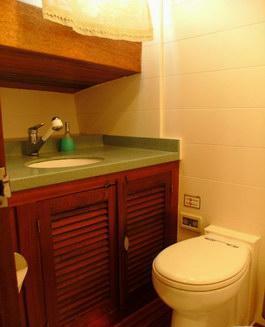 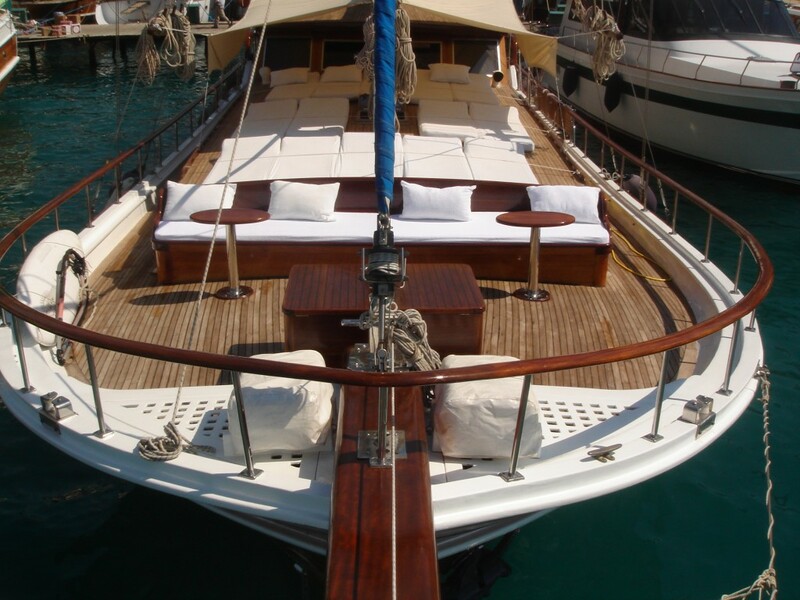 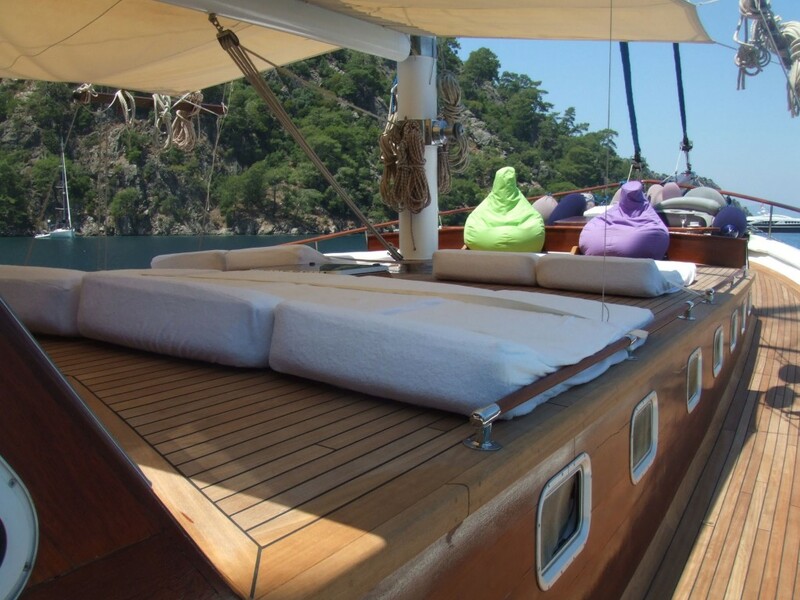 On deck, she offers ample relaxing space with a superior aft sunbed, perfect for lazing the day away. 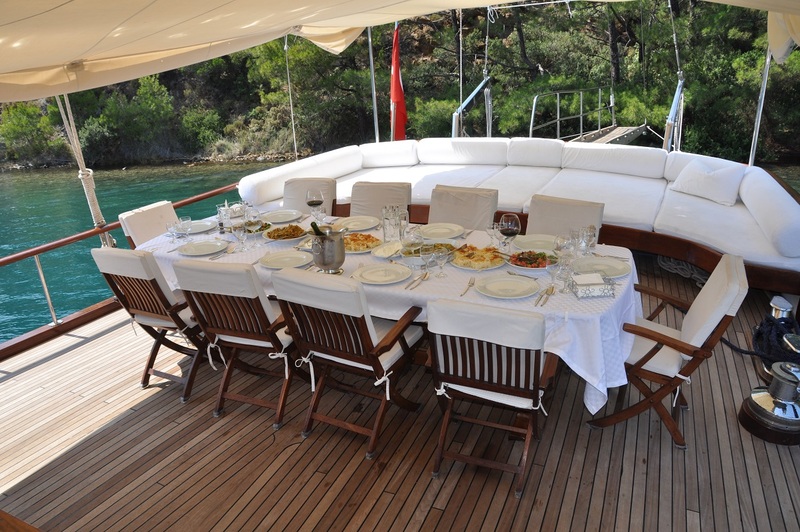 A large alfresco dining table invites casual lunches to formal dinners. 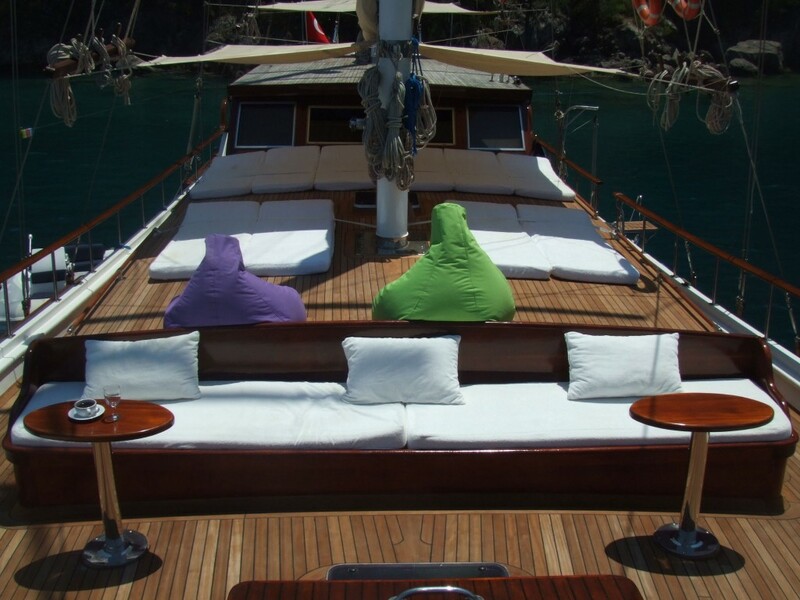 Forward there are plenty of sunpads with the option of sun or shade, while further forward is additional cocktail seating with small tables. 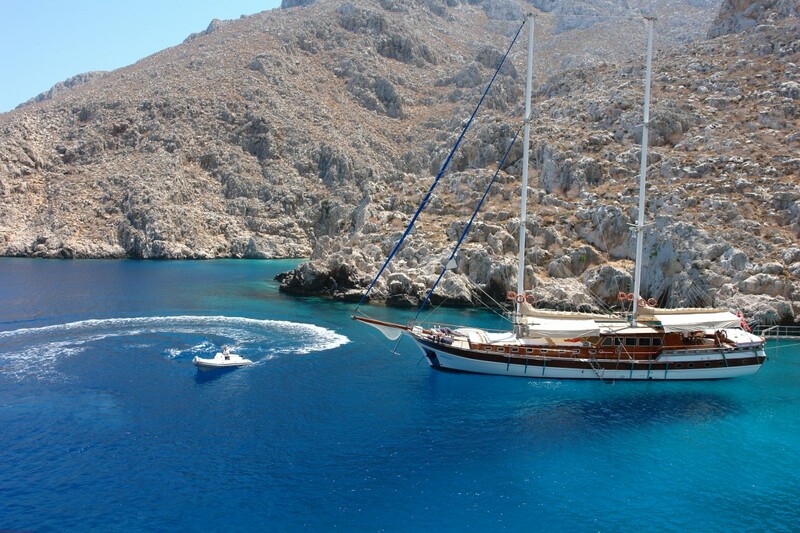 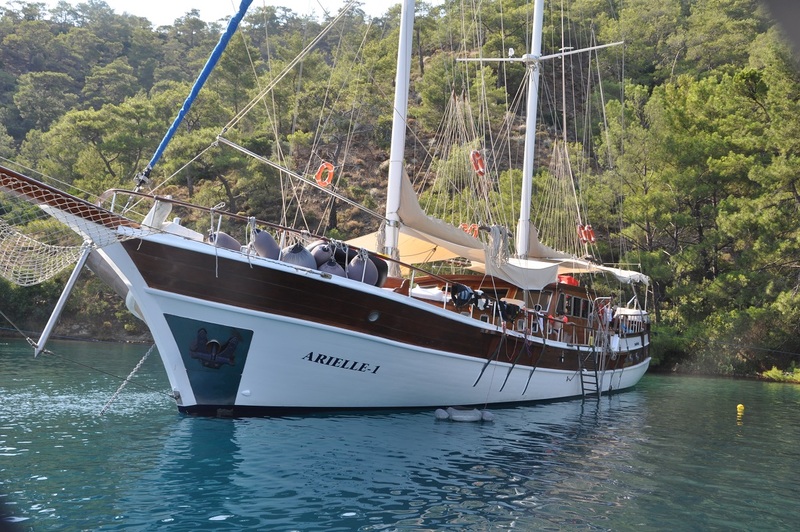 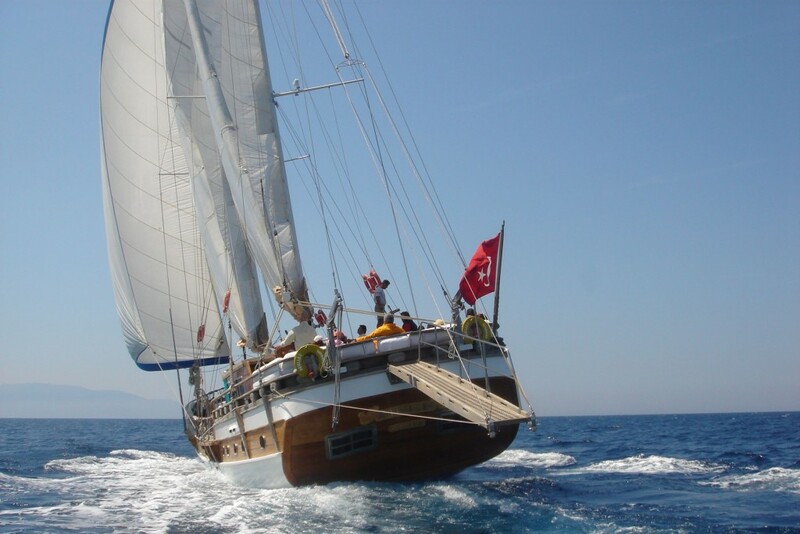 ARIELLE I has an impressive beam of 6.5 meters (21ft), and sails at an exhilarating speed of up to 12 knots. 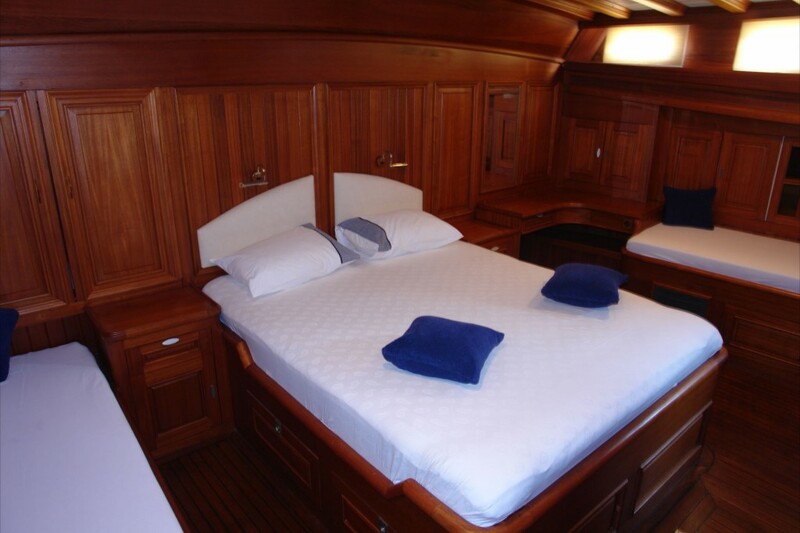 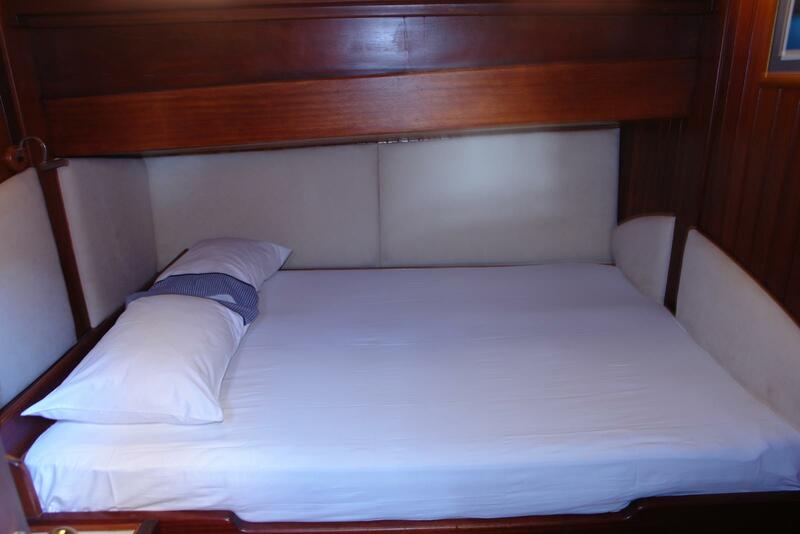 ARIELLE I can accommodate 10 guests in 5 cabins, the master cabin is full beam and forward offering a queen berth, while a further 5 cabins offer double berths, all cabins are en-suite and fully air-conditioned. 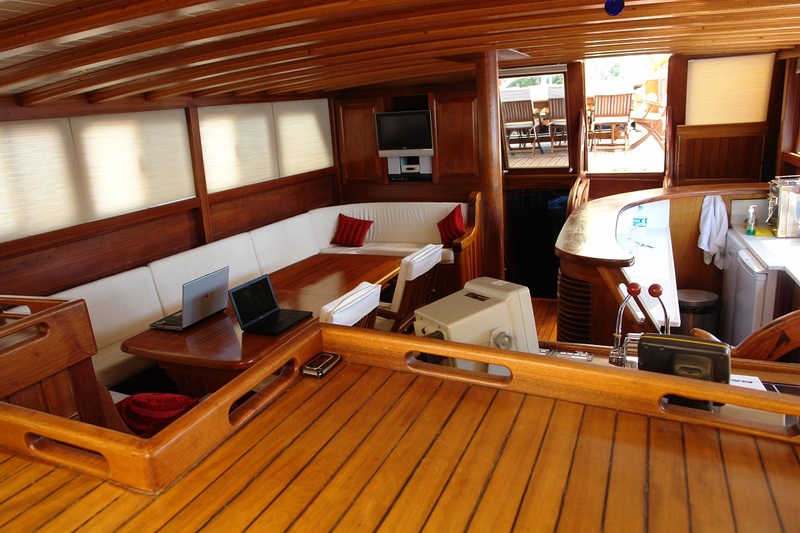 ARIELLE I is well equipped and offers guests: a 5.2m (17ft) Tender with 70Hp engine, Water skis, Kneeboard, Snorkeling equipment, TV and Stereo in the salon, Air-conditioning throughout. 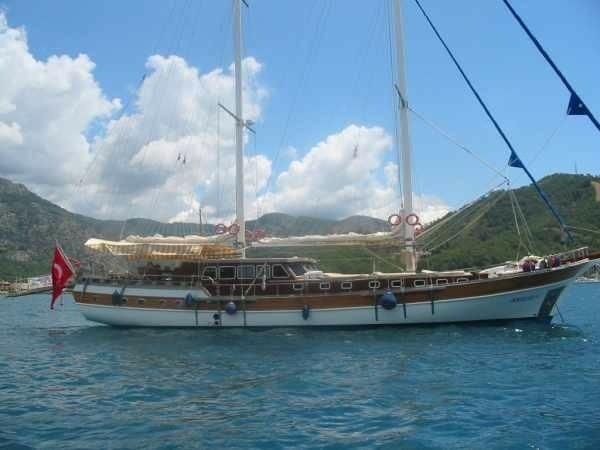 She also offers rendezvous diving.